Questions? 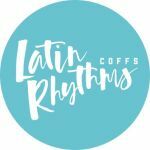 Please contact us at info@coffslatinrhythms.org. Thank you. Cuban Salsa - Free Taster! Brazilian Zouk - Free Taster!